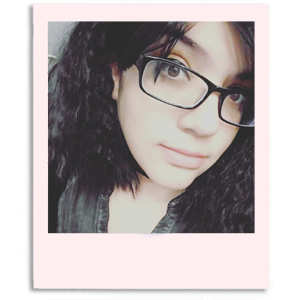 Hi guys! I hope everyone is having a great weekend. It's been alright but been trying to catch up on balancing my checkbook, which I have always been terrible at. All part of having to grow up and becoming an adult I suppose. With this amazing, but sometimes expense passion of mine budgeting can definitely get difficult. But polish collections that fit my budget do come by ever once in a while, especially if I look in the direction of New York Color. For this year's Halloween, they released a four-piece collection that I received for reviewing purposes. It was a funny coincidence because I intended to purchase this set the day I received the reviewing offer. I know you're probably thinking we are past Halloween and these hold no relevance, but don't be dismissive just yet. 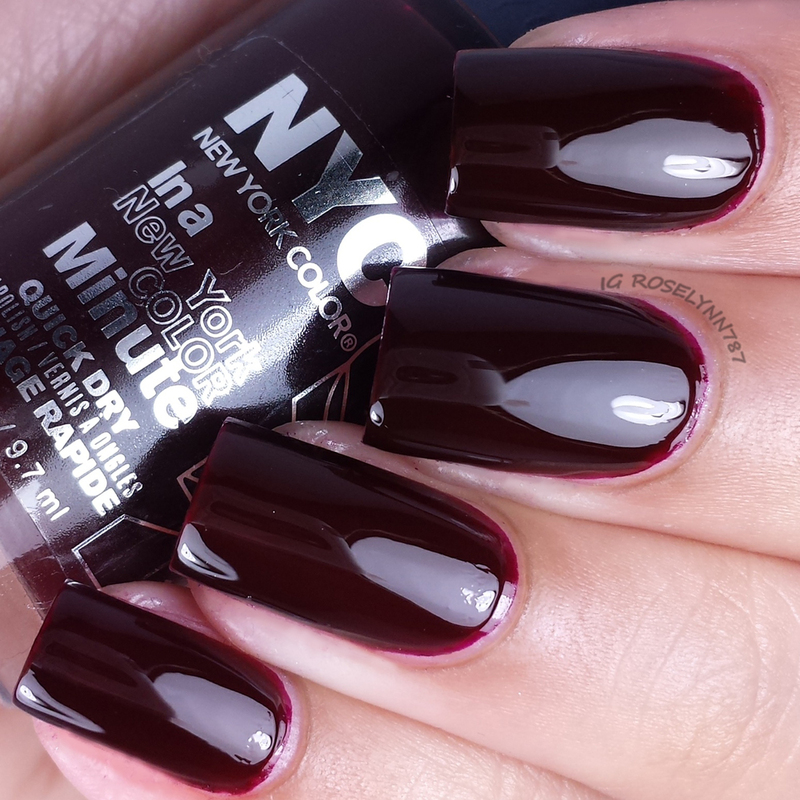 The colors in the Midnight Beauty Collection by New York Color hold a lot of use for the Fall season. Let's take a closer look. The Midnight Beauty collection by NYC Color is a limited edition set, which means it won't be around for much longer. Definitely head out to your favorite drugstore if you like any of the colors you see here and grab them while you still can. 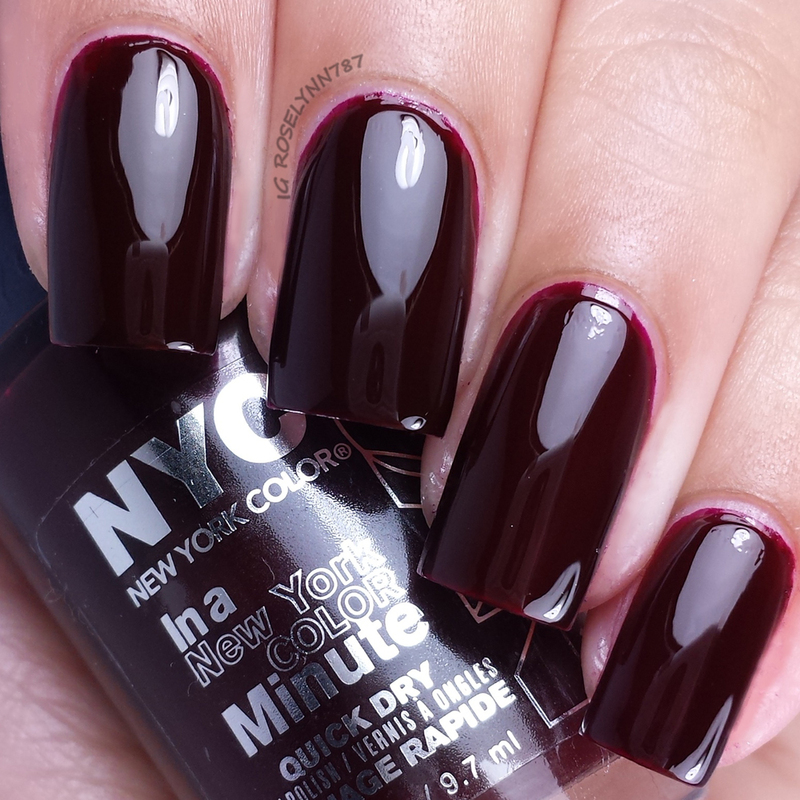 NYC Color I Am Not Affred is a deep burgundy red creme polish. Starting off this review with my favorite from this collection and my pick for must-have. I love how rich and pigmented this shade is without causing any staining. The formula applies pretty well and it's easy work with. For these swatches, I used two thin coats and sealed it off with a glossy topcoat. 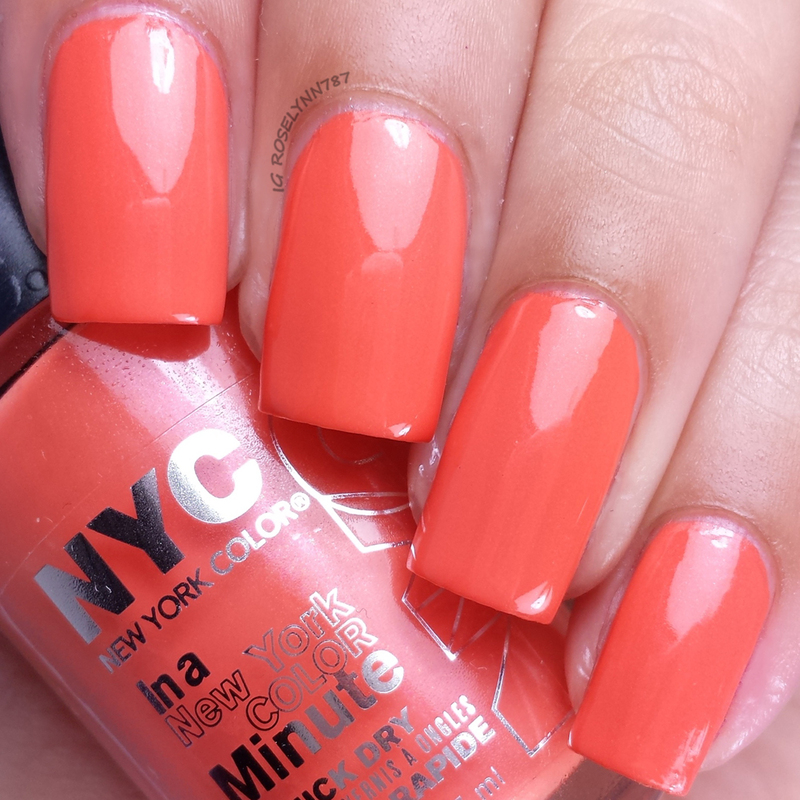 NYC Color Animal Instinct is a coral-orange creme with a shimmer finish. Personally, not my favorite shade against my skin-tone unfortunately. The formula was pretty good, however, I did experience a bit of streaking. I recommend using three coats, as I did in these swatches, to help even out the finish. NYC Color Black Elixir is the classic black creme of the season. The formula leaves a little bit to be desired and caused me to experience a bit of cuticle flooding. I also had the same streaking problem with this one as I did with Animal Instinct. Making sure to do three layers instead of two definitely helps, but you can still see some blind spots in my swatches if you look closely enough. 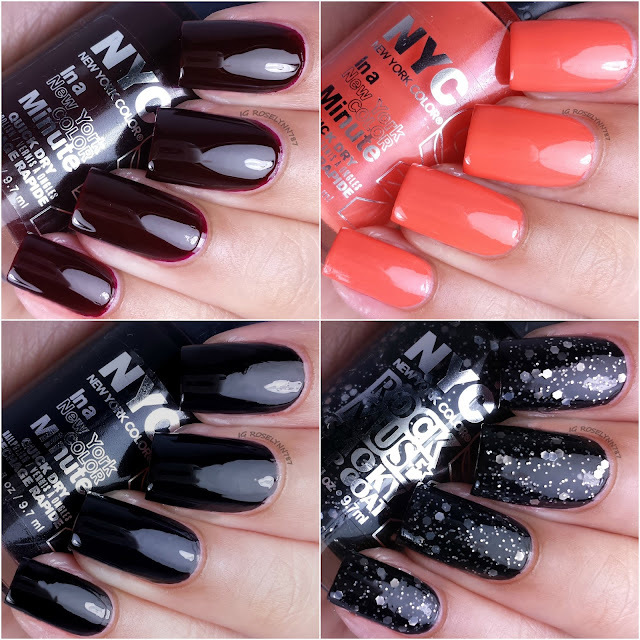 NYC Color Rock Muse Smoky Top Coat is a black jelly glitter topper. Now while I love the look of this polish as a jelly, I'm not sure I'm feeling it as the intended topcoat use. I chose to layer it over a dark polish because of the dark shading of the base and this ends up looking rather nice. I think the dark shading is the intended 'smoky' look, but it ends up looking kind of odd over lighter colors. Formula wise this was not bad at all and very easy to layer. Overall the Midnight Beauty collection by NYC Color definitely has some interesting shades with some good formulas. I Am Not Affred is my hands-down pick from the collection and it does have the best formula as well. As always, NYC Color can deliver beauty at a budget retailing each at $1.99. Like I mentioned before, these are limited edition so don't wait too long or they might be gone for good. nice blog ! i have enjoyed !